What happens when you connect world-class SEO with enterprise-class reporting? Go Beyond Links, Clicks & Rankings. With PosiRank, connecting the dots between organic visibility and actual customers, revenues & ROI has never been easier. 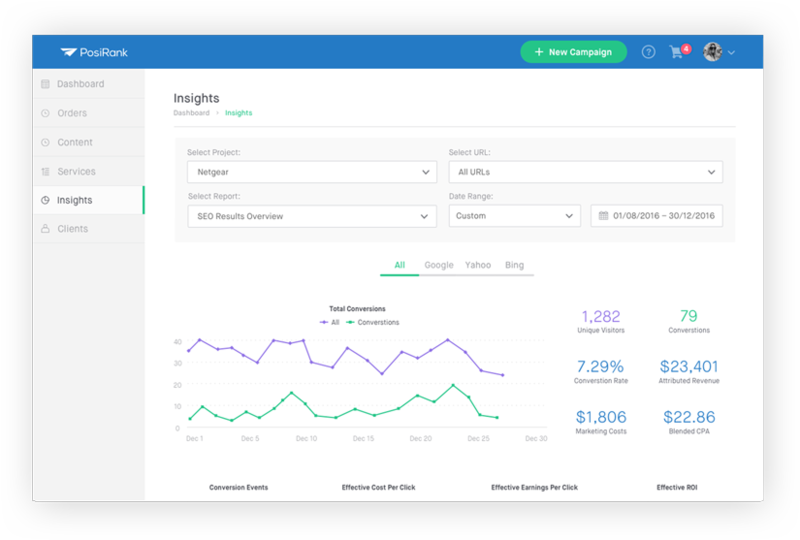 Your team (or clients) can now clearly measure the impact of SEO, to the penny. In addition to tracking ranking performance in realtime, PosiRank persistently cross-checks your site's progress against the entire graph of competitive keywords in your industry. All on autopilot. There's no need to share the stage. If you're an agency, your clients won't ever need to know that PosiRank exists. PosiRank's white label dashboard can be easily hosted on your domain, and customized with your branding. Most SEO reporting solutions just summarize things that have already happened - leaving you to react to the good, the bad and the ugly. With PosiRank, you can spot problem areas literally months in advance, and take action accordingly. Similarly, narrowing down the best use of your time, money & energy is now child's play - since our data is specifically designed to showcase "low-hanging fruit". 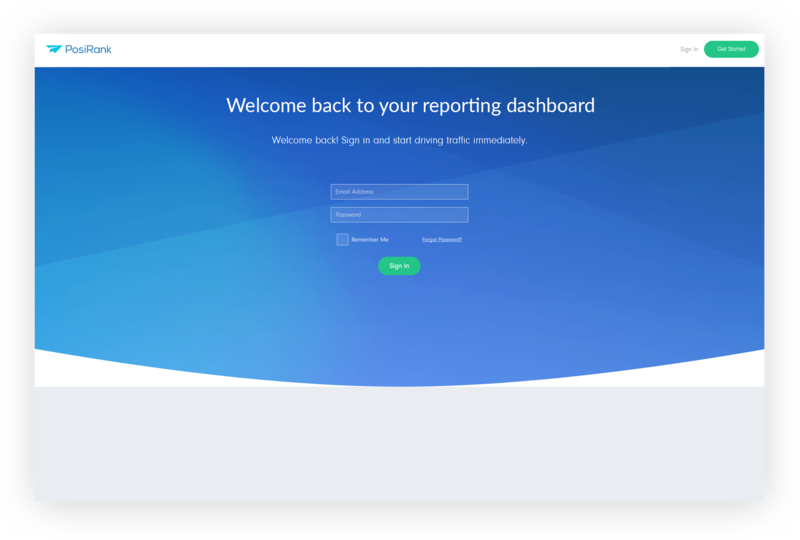 PosiRank's reporting suite is constantly being expanded.